The case of Jax Utilities Management, Inc. v. Hancock Bank involved contractor Jax Utilities, developer Plummer Creek, LLC and successor lender Hancock Bank. In 2009, after the developer suffered financial difficulties it failed to pay Jax. As a result of the developer’s financial difficulties, Hancock Bank obtained a final judgment of foreclosure against Plummer Creek and the project in September 2011. Subsequent to that, in December 2011, Jax filed a claim for breach of contract against Plummer Creek as well as claims for unjust enrichment, and it sought to impose an equitable lien against Hancock Bank. 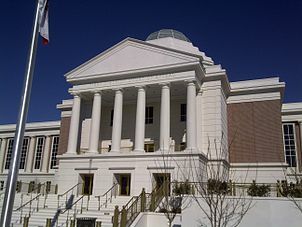 The trial court issued a final judgment for Jax against Plummer Creek for more than $587,000, but it also granted a summary judgment to Hancock Bank finding that the contractor’s equitable lien claim was barred by the one-year statute of limitations which governs actions to enforce equitable liens. It also found that §713.3471 of Florida’s lien law precluded Jax’s common law remedies. Section 713.3471(2) expressly immunizes lenders who provide notice, prescribes the damages where notice is not provided, and states that the cause of action cannot become the basis for an equitable lien claim. Moreover, a common law claim would conflict with the statute. If a lender complies with the statute, it has no liability. If the lender fails to comply, a contractor may seek damages as prescribed by the statute. The court also noted that its holding was reinforced by the lack of a provision preserving common law remedies in the statute. For contractors such as Jax, which had apparently earned the funds that it was not paid, the court’s holding delivers a clear message that they cannot forgo their rights under the lien law in favor of common law claims against lenders. Even in cases in which a construction lender disregards the requirements under the lien law by not issuing the proper notice to the contractor when it decides to stop disbursing loan proceeds, the lender’s liability is delineated solely by the statute. Our firm’s other construction law attorneys and I work very closely with contractors, subcontractors and other lienors to enable them to utilize all of their rights to recover the funds that they are owed. We write in this blog on a regular basis about important legal and business matters for the construction industry in Florida, and we encourage industry followers to submit their email address in the subscription box at the top right of the blog in order to automatically receive all of our future articles.